North of Canada… the United States? Part of the lost trip report. 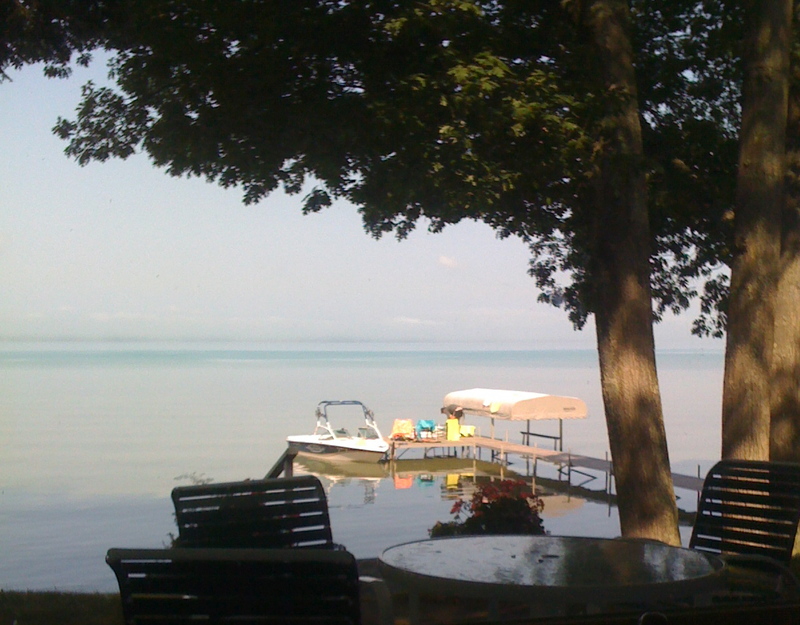 The time at the Lake was superb. Dexter got very into fishing and, even though he didn’t catch very much, it gave him motivation to see more of the shoreline, other little lakes nearby, and one of the creeks that feeds the Lake. As great as it was, my friend TW kept telling me that his place on Torch Lake would give any lake in Ontario a run for its money, so I started planning our next flight. Sometimes I like to ask Google maps how long it would take to do the drive. From Parry Sound to Antrim County would be nine hours twenty minutes. Obviously, we would need to stop for a couple meals, so it would be more like eleven hours. And the customs hassle at the border. Leave Parry Sound at 7am and get to Antrim County at 7pm that night. Instead, we left the Lake at about 8am with Alex dropping us at the airport, after we helped drop some garbage at the town dump. It is lousy with black bears, but we only saw one small one when we ran the bags in. 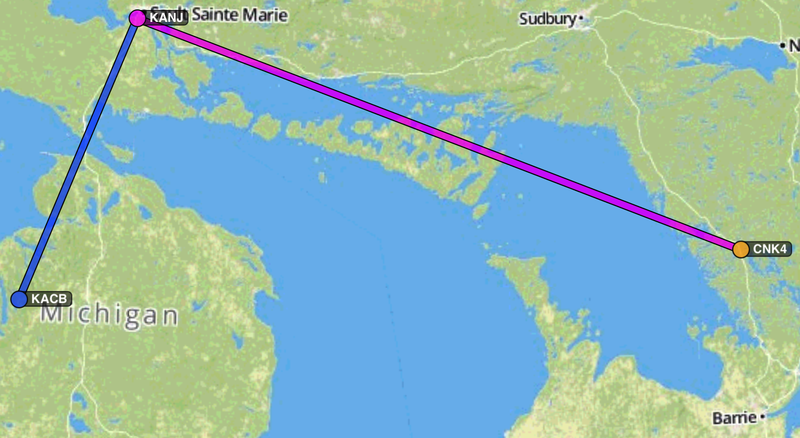 If I were brave enough to fly directly across Lake Huron, the trip would be a little under two hours, plus a landing somewhere to clear customs. Instead, I flew us over Georgian Bay, directly to Manitoulin Island and then north. We landed at Sault Ste. Marie (Soo Saint Marie) to clear customs, and then flew on to Antrim County where we tied down having clocked just about three hours in the air and half an hour on the ground for customs. At the Parry Sound Airport I wrestled with the eAPIS web site, which didn’t want to let me login. I called various custom offices and agents, who all said that without the electronic filing I would not be allowed back into the country, and no, they couldn’t do it for me. This is stuff that should be made incredibly simple, so that a pilot can take care of it all on their iPhone. Instead it is browser-specific and has a set of insane government password rules (has to start with a number, has to contain punctuation, and so on), and can’t remember anything you told it before. After over an hour I got the customs people straightened out enough that I figured we had better than even chances of being allowed back into our country of birth. It’s almost like we have rights. The day I am packing the plane up at the Parry Sound Airport always feels like the end of summer, and I had to remind myself that we had more than a few weeks and quite a bit of adventure ahead of us. Alex took a couple photos, got a couple hugs, and then waved as we taxied out for takeoff. I need to write an entry just about the airport at Parry Sound. There are fifty foot pines on either side of it, which means that the wind can be blowing one direction over the tops of the trees and another direction in the canyon created by the trees. That can be very exciting. When we flew over Manitoulin Island, I pointed out to the boys that it was the largest island in a fresh water lake. And there, on the island, was Mindemoya Lake, the largest lake ON an island in a fresh water lake. And yes, there is an island on Mindemoya Lake, but we don’t need to discuss that. As always, the engine sounded funny as we made our crossings. And I spent a lot of the flight wondering if I should have just pointed the nose west and beelined across Lake Huron. It is the height of summer and chances are we wouldn’t have spent any more time in the water than we would crossing from Los Angeles to Catalina Island, which I do all the time. We continued our way north instead. We flew over the spot where the Edmund Fitzgerald was hoping to sneak off of Lake Superior (the Sault St. Marie locks). It was a little disorienting as we crossed an American border to the north of Canadian territory. There were also wispy clouds all about and that made it a little hard to find the airport. The customs agents we very friendly. They wanted to look over the plane, which was no problem, and I felt sort of badly that these two fellows, who mostly do cargo manifests on freight planes, were called out to this little tiny airport to clear a returning family. There should be a better system. Next time I might land at a larger airport, too. 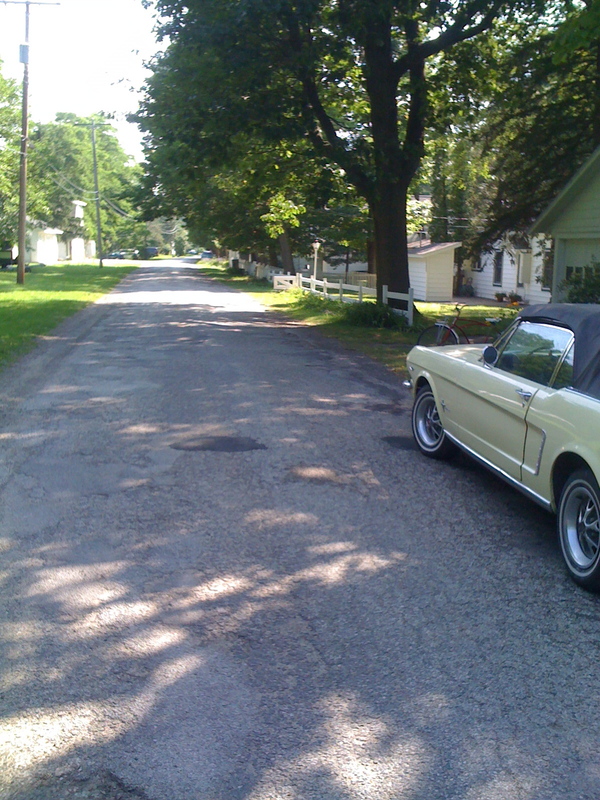 TW was there waiting and he drove us back to the cabin. It was about 3pm and the boys wandered down a little small town road to find a burger joint for their lunch. It was an amazing place to wind up in after a fine day in the sky.